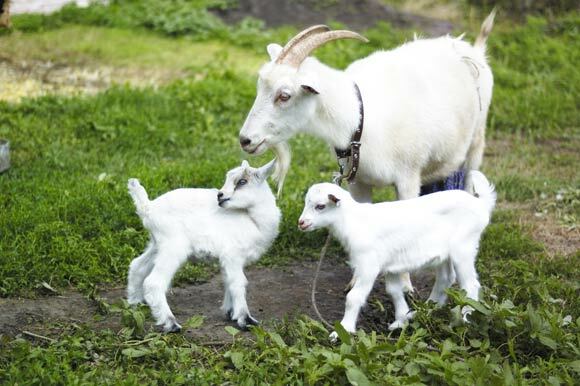 You are here: Home / Living Gluten Free / On Dairy: why choose goats milk? On Dairy: why choose goats milk? I was recently sent some samples of a range of goats milk cheeses by Delamere Dairy, so I thought I should find out more about why people choose to use goats milk rather than cows milk. It turns out that there are lots of reasons that people swap to goats milk products rather than cows milk products. 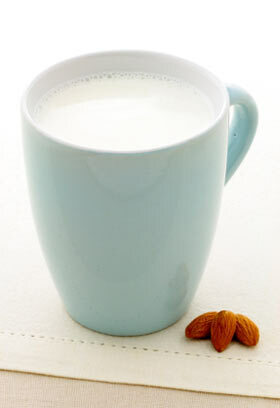 One of the members of my family used goats milk instead of cows milk for years because of asthma (yes we are the classic atopic family, with—between us—asthma, eczema, psoriasis, hayfever, and coeliac disease) but making the swap is also recommended for some people with eczema, catarrh, or with some digestive disorders. For some people who are intolerant to cows milk, it appears that it is one of the proteins in cows milk – A1 casein – that is causing the problem, rather than lactose. Although there are some breeds of cow that don’t produce A1 casein—and A2 milk can be bought as a specialist product in most supermarkets here in the UK these days—most cows used in standard mass dairy production are A1 producers. (Note: both A1 milk and A2 milk contain lactose, so A2 milk is not an option if you are lactose intolerant or have a milk allergy). Goats milk contains only A2 casein, which means that for some people, goats milk is much less inflammatory than cows milk – so if you’re trying to avoid the A1 casein, goats milk products are a good choice. And although goats milk contains lactose, it seems some people with lactose intolerance can handle goats milk. It is thought that this may be because goats milk is more digestible – it has less casein, smaller fat globules, and very slightly less lactose, than cows milk. And some of us just enjoy the taste. So what about those samples? I’ve always been a goats cheese fan so was expecting to enjoy these cheeses. But I didn’t know they offered so many varieties, so my first thought on opening the package was surprise. I particularly enjoyed the goats cheese and honey log (handily ready-sliced into portions, though I will confess to have eaten rather more than a portion…) and the Greek cheese (like a feta). Unfortunately, though goats milk, goats milk butter and some goats cheese are generally available in supermarkets, it looks as though these two varieties are only available from Booths, Ocado and Wholefoods at the moment. Shame that there isn’t national coverage in supermarkets… but Ocado is particularly good for free from shopping, so perhaps I’ll just place an order sometime soon.